The world population has reached 7 billion, and the United Nations estimates that it will exceed 11 billion by the year 2100. Will humans have enough food and water for everyone 100 years later? Some people consider that insects are the solution. It takes a lot of resources such as water, land and food to grow a cow. However, it requires a lot fewer resources to obtain the same amount of protein from insects. In that sense, does it make sense to start consuming insects as the main source of protein? Even so, how are we going to grow insects? LIVIN farms developed the first edible insect desktop hive in the world. LIVIN Farms were raising funds on a crowdsourcing website Kickstarter, and 840 backers pledged the total of $145,429. You can now preorder one for $649. 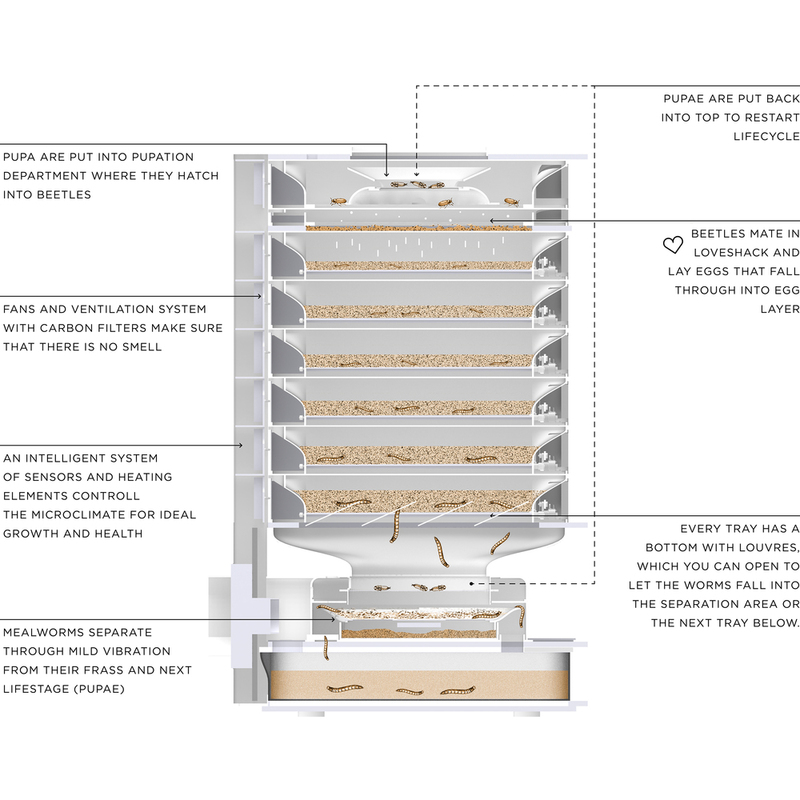 The LIVIN farms Hive looks just like a drawer unit, and the insects eat kitchen scraps. Some people turn food scrap waste into fertilizer to grow plants, but the whole process takes weeks. On the other hand, you can grow 200g of protein-rich super food every week with the LIVIN farms Hive. Since you have a control over what worms eat, you don’t need to worry about any pesticides or hormones. She makes a convincing argument in the video about how we learned to love food. Most people in the US only eat chicken, pork and beef, but historically a lot of countries consumed dog meat. Some countries in the world actually eat edible insects. What type of food we eat and we don’t eat is merely a social construct. That being said, I just can’t imagine myself eating mealworms, and unfortunately I don’t think that any logical argument can convince me to do so.